Includes 4 courses for $99/year. One of the ways the danger of fire can be eliminated or minimized is by understanding the mechanisms that contribute in the creation of fires. 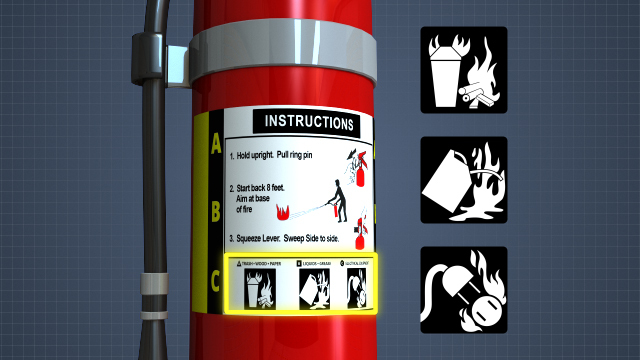 Portable fire extinguishers use picture icons to identify which kind of fire the extinguisher is equipped to put out. 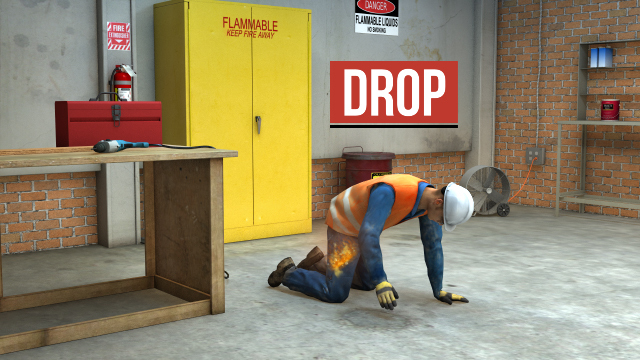 If at any point your clothing catches on fire, follow the stop, drop, and roll procedure. Every second counts in the event of a fire. 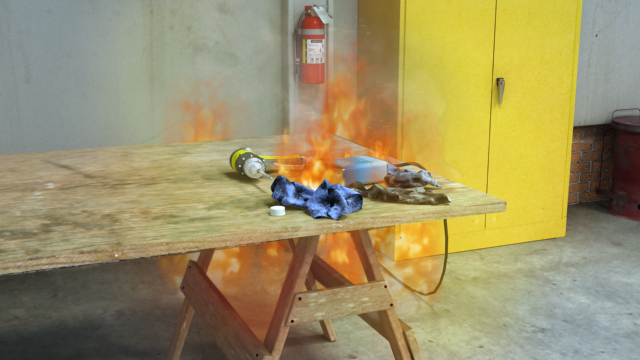 In only 30 seconds, small flames can get out of control and turn into a major fire, which can lead to an injury or a fatality. In this course, you will learn about the nature of fire, preventative and protective measures, fire sprinklers, smoke detectors, alarms, fire extinguisher use, evacuation, the stop, drop, and roll procedure, and more. Heat and light energy produced and released during a chemical reaction. What is the fire tetrahedron? 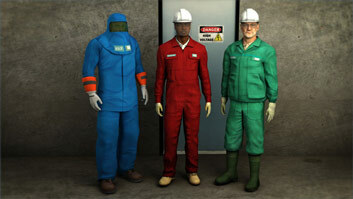 The four elements necessary to form a fire-heat, fuel, oxygen, and an unrestricted chemical chain reaction. 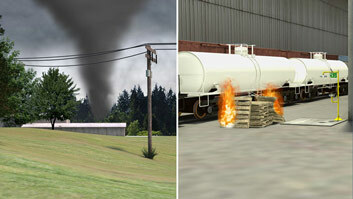 Keeping the three elements of the fire triangle separate-most specifically, keeping heat away from fuel. 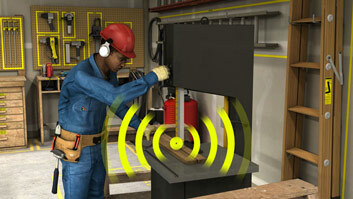 Automatic fire sprinklers, smoke detectors, pull alarms, and evacuation. 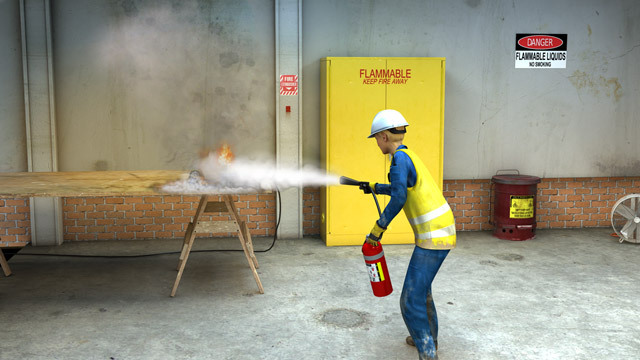 How should one use a fire extinguisher? Use the PASS technique-pull the pin, aim the nozzle at the base of the fire, squeeze the handle, and sweep from side to side at the base of the fire. When should one use a fire extinguisher (and when should one evacuate instead)? Only if you're properly trained, if you're not endangering yourself or others, if you have a clear evacuation path behind you, and if the fire is small, contained, and hasn't spread to other materials. 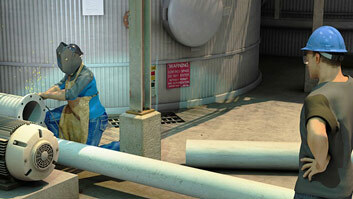 If at any point your clothing catches on fire, follow the stop, drop and roll procedure. Stop exactly where you are. Drop to the ground. Cover your face with your hands, and roll around to smother the flames. If someone else's clothes catch on fire, yell to them to stop, drop and roll. And then use a rug, blanket or towel to help smother and extinguish the flames.